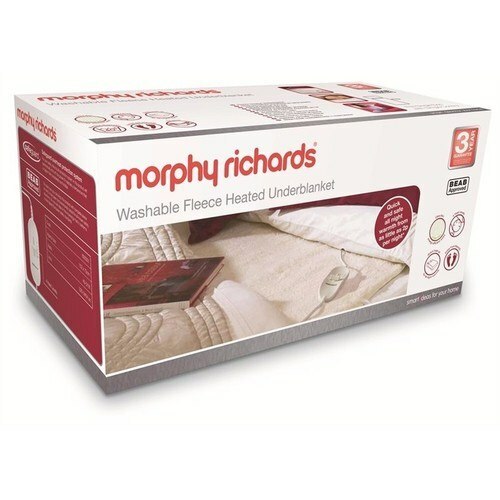 Luxury, Machine Washable Warming Underblanket with 4 Heat Settings. Fleece/Fury Finish and Economical to Run Making it Ideal for Keeping you Warm all Year Around. Comes with Extra Foot Warmth Feature with Extra Heat at the Foot of the Bed to Keep your Toes Warm on Cold Winter Nights. Really good length nice and cosy when you lay on it. Have not tried on full heat yet, as I have not felt cold enough. Have left on a low setting over night, woke up roasting. Great price. Quick delivery. Would recommend.